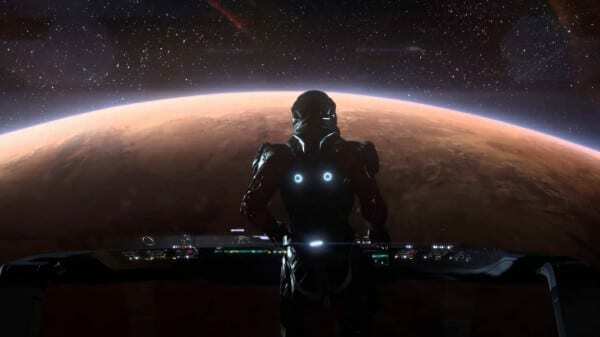 You have a lot of defensive options in Mass Effect: Andromeda and that can make it difficult to choose. Here are sets of the best armor you can get. They’re the best Mass Effect Andromeda armor for combat, tech, biotics, or survivability. Just like weapons are important for dishing out damage to the evil Kett and other ne’er-do-wells in the Heleus Cluster, solid armor is needed to survive the threats you’ll face while playing Mass Effect: Andromeda. There are a surprising amount of options, and with the four slots (Helmet, Arms, Chest, and Legs), you can mix and match to try and get the perks best suited for your playstyle. Across the various technologies you’ll notice the same perks pop up such as Power Duration, Max Shields increase, Damage increases, and more. However, some sets offer higher versions of those perks than others. We’ll cover the best for all types of users (Combat, Biotics, and Tech) so you can see which sets you should look out for. For those who love to get in there with their guns and utilize Combat Powers, you’ll want high defense, increased Weapon Damage,and perhaps something that bolsters your already potent powers. There are a few options that are perfectly suited for this. Kett Unity – This armor is all about Combat. It increases both your Power Damage and Weapon Damage, allowing you to quickly dispatch any enemy foolish enough to get in your way. It’s not the prettiest set, so you’ll be running around looking like a Kett, the target of your ire, but it’s useful. Kett Fusion – Unity can sometimes be hard to come by, but you can craft Fusion armor fairly early in the game, and it has the same perks. It just looks a bit different (I personally prefer Unity’s more chunky appearance). Maverick Deadeye – This is more for long-range fighters (those who like Sniper Rifles and Assault Rifles). Each piece of this set increases Headshot/Weak Point damage bonuses as well as provides extra spare ammo. So you’ll be able to snipe enemies faster and take more shots before scavenging for ammunition. Heleus Defender – This is a two-piece set that you can craft, but it’s one of the best armor sets in Mass Effect: Andromeda (though not the best looking). It increases all Power Damage, Weapon Damage, and Damage Resistance. We have it under Combat, but honestly, it’s great for any player. It also has four augmentation slots in the chest piece (two in the head) to add a few extra bonuses more geared towards abilities you like to use.